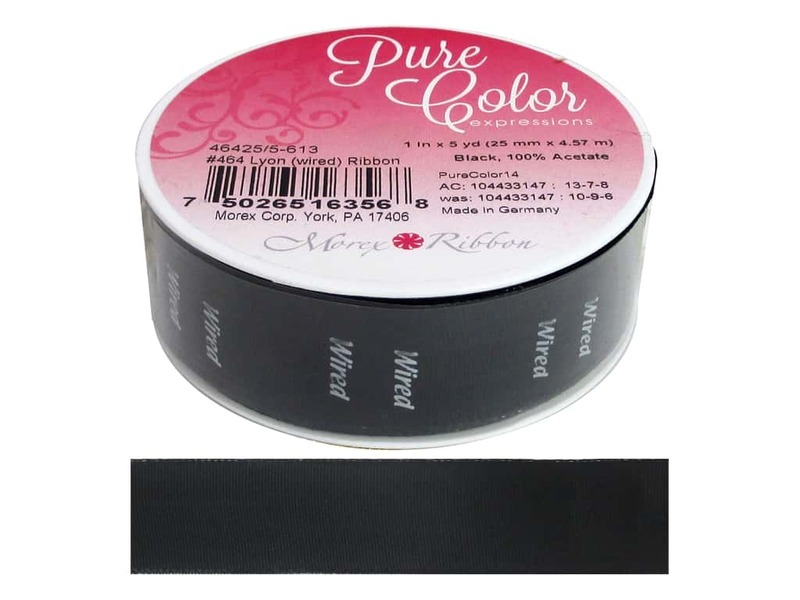 Description: Morex Lyon Ribbon is a wired taffeta ribbon that is perfect for sewing, scrapbooking, hair bows, and any other crafting need. 100% Acetate. 1 inch x 5 yard. Black.